It was a very lack luster affair, with scores very difficult to come by. The half time score was 0-4 to 0-5 in favour of Kilsheelin. Kilsheelin missed a number of chances which would have put them more to the fore at half time. The second half was an improvement, but still well below what both teams would have hoped for. Tony O’Brien came from corner to wing forward and improved things for St. Pats. Also R. McCormack came from full forward to center forward in the second half and picked up two good scores from play. In the last minutes the game was very much in the balance and Pats led by 2 with 5 mins left. 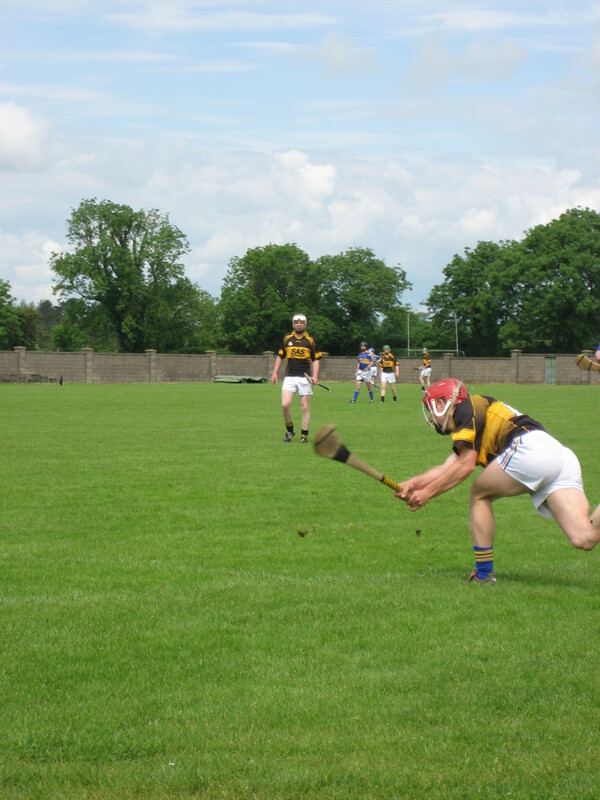 Kilsheelin did well and picked up the two last scores to make a draw of it. All in all a poor first outing for both teams. Lets hope for improvements in the upcoming games. J. Moroney, R. Needham(Capt), C. Dunne, D. Maher, E.McCormack, D. Barry, P. Horan, C. Barry, N. Kearney, P. Moroney, A. Cronin, S. Gorey, T. O’Brien, K. Clancy, M. O’Halloran. Subs used; R. McCormack, J Hayes. This entry was posted on June 12, 2012 at 4:34 pm and is filed under Hurling. You can follow any responses to this entry through the RSS 2.0 feed. You can leave a response, or trackback from your own site.